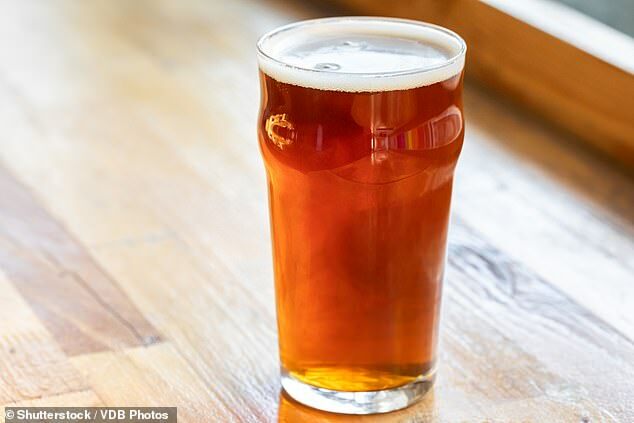 The price of a pint of beer could set punters back £10 because of global warming causing a decline in barley fields, according to scientists. Extreme weather events such as high temperatures and severe drought would have knock-on effects worldwide leading to the reduction of beer production. The international study showed the impact of a decline in barley production, a key ingredient in making beer, along with price and consumption in 34 regions. Researchers, from the US, China, and Mexico, and the University of East Anglia in the UK modelled the effects of climate change on the global production of barley. Projecting heat and drought trends over the coming decades, they examined the impact of extreme weather on barley fields over the next 80 years. They then used economic models to estimate the impact on beer supply and price in different nations. In the UK, they saw a drop from 0.37 billion to 1.33 billion litres in the amount of beer drank annually, and have to pay double the average price for a pint, or around £5. Because they brew and drink a lot of beer and import most of their brewing barley. In Belgium, the Czech Republic and Germany, the total decline in beer production would be between 27 per cent and 38 per cent. In Argentina, severe drought and high temperatures would result in a 35 per cent dive in the total amount of beer consumed. In the US the decline would be a 3.48 billion litres (or about 6.1 billion pints). In China, now the world's biggest beer consumer, the consumption is estimated to fall by 9 per cent. Globally, the cut would be 16 per cent. The team said that the problem could be made worse by governments prioritising the production of other foodstuffs over beer.